Did You Win FILM STARS DON'T DIE IN LIVERPOOL On Blu-Ray? 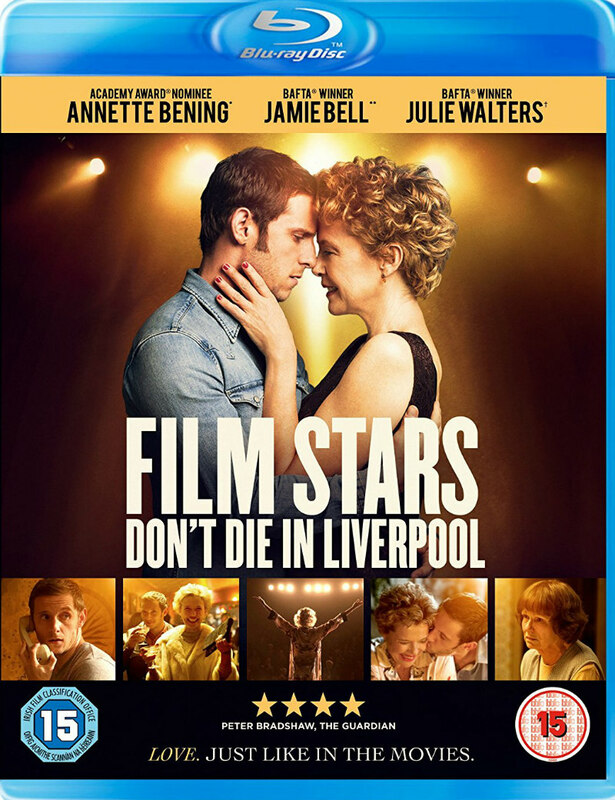 Film Stars Don't Die in Liverpool is on UK DVD and blu-ray now. We've got three blu-rays to give away. Annette Bening plays troubled Hollywood star Gloria Grahame in Film Stars Don't Die in Liverpool, based on the final years of Grahame's life, during which the actress became romantically involved with Liverpool actor Peter Turner, played here by Jamie Bell. We've got three blu-ray copies to give away. Based on Peter Turner’s memoir and set in the late 1970s, the film follows the playful but passionate relationship between Turner (Bell) and the eccentric Academy Award®-winning actress Gloria Grahame (Bening), who fall for each other after meeting in Liverpool where the legendary femme fatale is performing in a play. What starts as a vibrant affair between the two quickly grows into a deeper relationship, with Turner being the one person Gloria allows herself to turn to for comfort and strength. However their passion and lust for life is tested to the limits by events beyond their control.